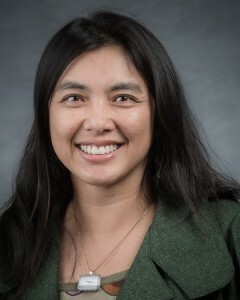 I’m Vera Chan, and honored to introduce myself as EWIP board president. Former president Stacey Kennelly will continue to help EWIP with the 2017 conference. We thank her for her tremendous energy these past six months, overseeing EWIP’s panel with Global Girl Media and Internews as well as our Fall 2016 Reception and Awards Ceremony. I’m relatively new to EWIP, but have been criss-crossing the media landscape for some time. I’ve built worlds at a computer game software company, wrote features and A&E stories at a daily newspaper, freelanced for magazines, led global editorial projects while surviving six CEOs at Yahoo, and currently advise Microsoft’s Bing News engineering team in my capacity as “chief journalist” and content strategist. This is a pretty eclectic background for someone whose professional goal was to be the grumpy brilliant columnist in that dank newsroom corner (albeit cranking out bestsellers in her spare time). Little wonder that EWIP’s mission has really resonated with me. Who knew that almost 20 years ago, EWIP would be so prescient as to bring women together from different disciplines across publishing? As we know too well, technology and consolidation have upended publishing: These days, editors are marketers, PR experts take on collaborative journalism, and product people monetize content. Job descriptions sometimes look like a Mad Lib reboot. Itching to do battle and looking for fellow warriors? Get your tickets now for the 20th anniversary EWIP conference. Speaking of reboots, there has been a surge of women’s leadership academies, accelerator programs and institutes to make sure women are represented in bylines and corner offices. Yet, as we’ve seen in this election cycle, we have far to go in addressing unconscious bias and outright denigration. All this means, an organization like EWIP has to retrench, re-evaluate and rethink. What do we offer at a time when a Facebook group of 35,000 women and gender non-conforming writers comes together in under a year? (Amazing work, BinderCon..) How can our voices be heard in the crowded social space that both amplifies (Twitter) and stratifies (Snapchat/Kik/Yik Yak)? What does leadership mean when six companies own 90 percent of media? And how do we move forward to unite men and women when polemics dominate discourse? It means that the individual has become even more important, in strengthening her voice, developing her brand, and (constantly) expanding her skill set. Yet, even as we learn to stand strong on our own, we need to stand together, more than ever. As you do your Black Friday shopping, add early bird tickets to your basket; prices go up New Year’s Day. If you feel EWIP’s camaraderie, events and workshops have helped you, get your company to buy a table so that your team can learn together. Don’t wait until the conference to get your juices going. Share your successes and get advice in our social groups on LinkedIn (here and here), Facebook and Twitter. And, we’re looking for people who want to develop a couple ambitious projects: Reach out to us at ewip@ewip.org. P.S. By the way, that quote at the top? Jane Eyre, one of the original goth heroines. Charlotte Brontë showed how a woman could bear the weight of patriarchy, false piety, and skewed economics and emerge fiercely independent, yet come to know the importance of partnering with others.